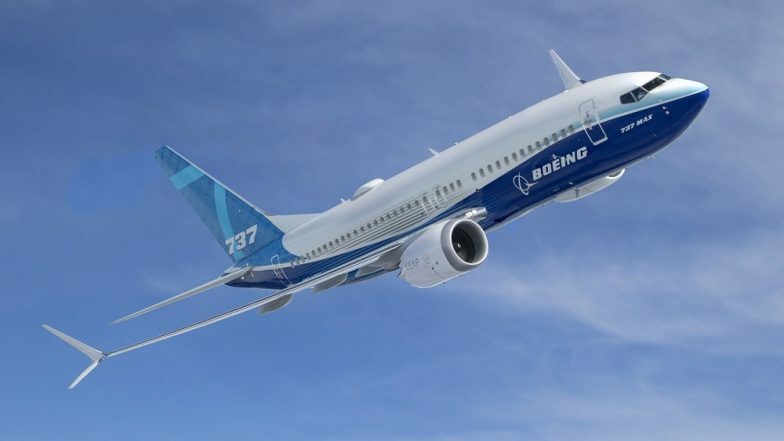 New York, April 9: Boeing on Tuesday reported a 19 per cent drop in first-quarter commercial airplane deliveries as the global grounding of its 737 MAX plane hits results. The aerospace giant delivered 149 commercial planes in all in the first quarter, including 89 of the 737 aircraft. That is down from 184 commercial deliveries and 132 of the 737s in the year-ago period. Boeing has been under scrutiny following a March 10 Ethiopian Airlines crash on a 737 MAX that killed 157 people, the second deadly crash involving in the aircraft in five months. Regulators worldwide grounded the planes within days of the Ethiopia crash, a move that also restricts Boeing's ability to deliver new planes. Plane deliveries are closely tied to company revenues. Boeing Crash Row: Pentagon to Probe If Defense Secretary Patrick Shanahan Used Office to Help the Company. Boeing last week announced it would temporarily cut production of the 737 plane to 42 per month from 52 per month. The company is expected to update its full-year profit forecast when it reports earnings on April 24. In January, Boeing had signalled that it expected big jumps in 2019 in both revenues and earnings-per-share. Near 1540 GMT, Boeing shares were down 1.3 per cent at USD 369.48.